​Real Madrid head coach Zinedine Zidane has admitted that he likes Paul Pogba 'a lot' amid rumours that Los Blancos could make a move for the Manchester United superstar in the summer. 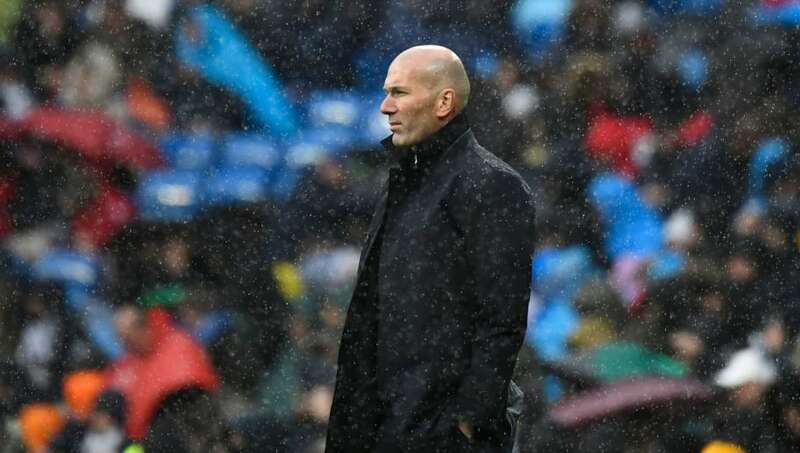 Zidane recently returned to the helm at the Bernabeu in a bid to salvage something from the remainder of Madrid's dismal campaign, and the Frenchman is expected to oversee a huge shakeup at the club during the summer ahead of a renewed push for silverware next season. The club icon's return is set to have a big impact on the futures of a number of Los Blancos' current squad, but attention has also begun to turn to which players could be the next star arrivals in the Spanish capital. ​Pogba recently described ​Madrid as 'a dream club'. Amid links over a potential move to unite Zidane with his compatriot ahead of next season, Zidane said of Pogba via ​BBC Sport: "I know him personally. He brings so much and there are few players who bring as much as he does. "He's a midfielder who knows how to defend and how to attack. But he is not my player, he is at Manchester. "He has always said that, after Manchester, Madrid has always interested him. So when his experience at Manchester ends, why not come here to Madrid?" Pogba's future at Old Trafford had looked increasingly uncertain under Jose Mourinho. The Portuguese often singled out the midfielder for criticism during his reign as ​United manager and even declared that he would no longer captain his side. However, the Frenchman has enjoyed a considerable upturn in form since the arrival of Ole Gunnar Solskjaer as Mourinho's replacement, becoming a central figure once more under the Norwegian and seemingly more likely to stay put at Old Trafford given his renewed morale. United may well resist any offers from Madrid as they look to arm Solskjaer with a squad capable of challenging for the Premier League title next term. However, with Zidane set to be handed a huge transfer war chest to revamp his Madrid squad in order to challenge for major titles once more next season, Los Blancos may be prepared to make an offer that United would find difficult to turn down for the 26-year-old.